Pack your bags and enter the Cuties Dream Vacation Giveaway because you could win a dream vacation at Walt Disney World Resort. You could also win one of 20 $500 Disney Gift Cards. The Cuties Dream Vacation Giveaway is open only to legal residents of the 50 United States who are 18 years of age or older at the time of entry. The Sweepstakes begins at11:00:01 AM PT on February 18, 2019 and ends at 3:59:59 PM PT on March 30, 2019. Limit one entry per person or email address per day. The grand prize consists of one (1) vacation to the Walt Disney World Resort. 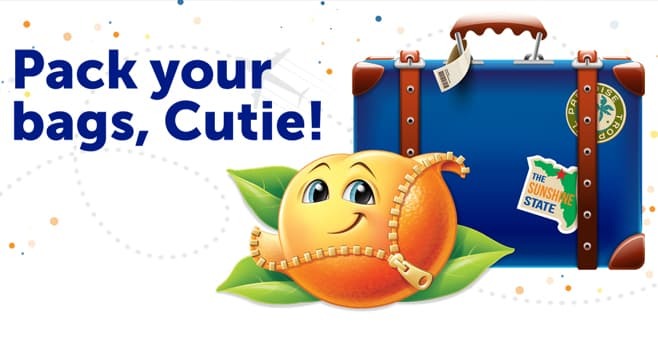 Visit promos.cutiescitrus.com/2019-dream-vacation-giveaway to enter and see Official Rules for details.